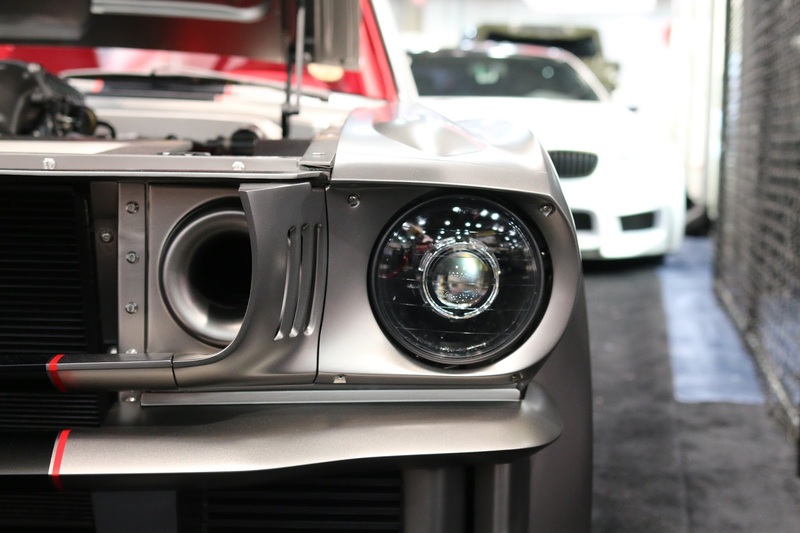 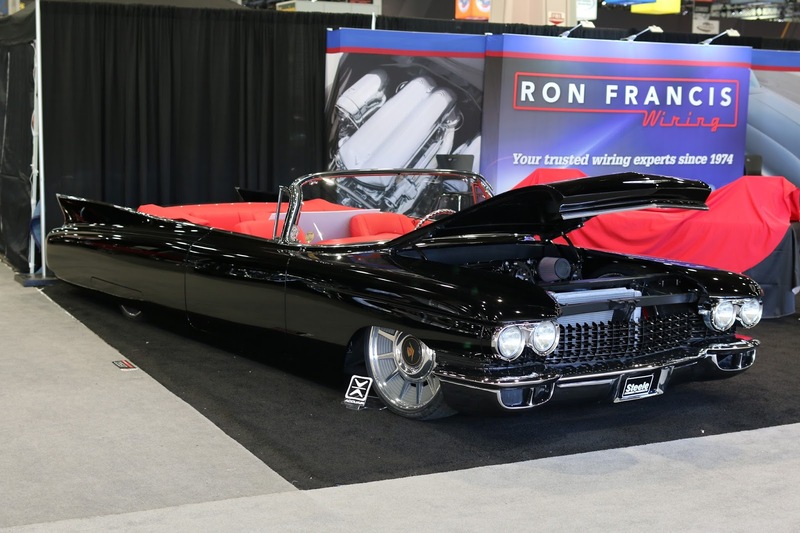 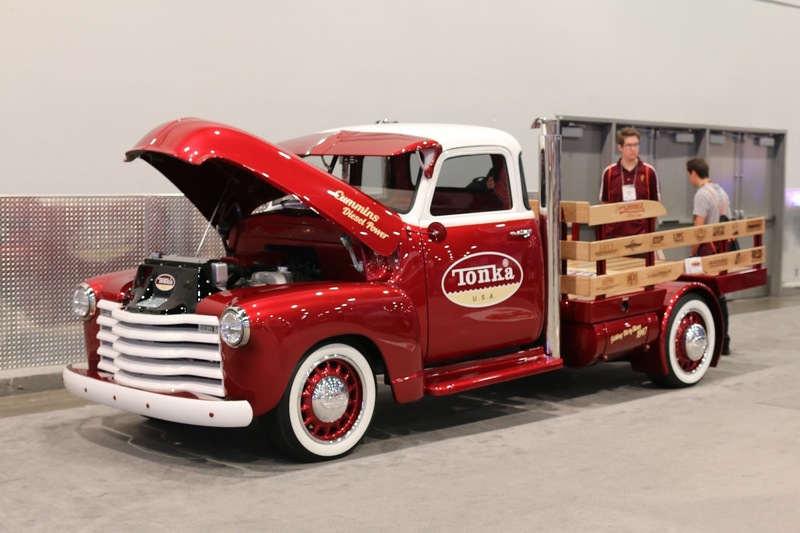 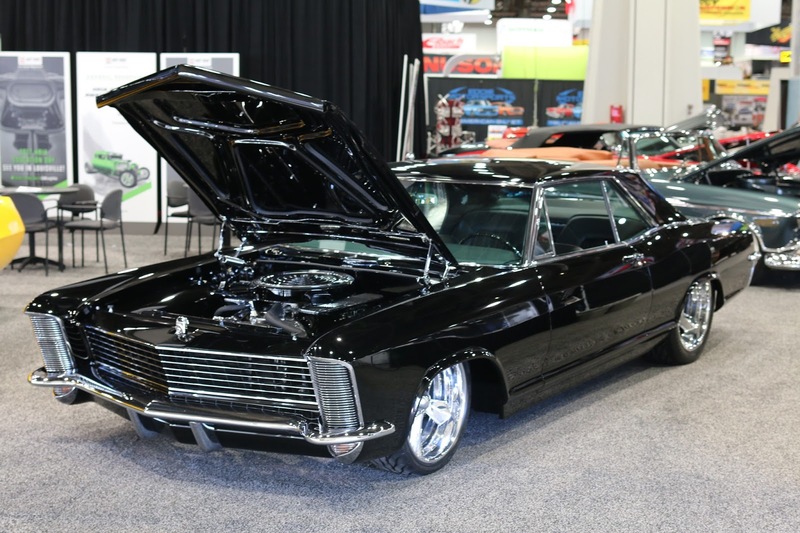 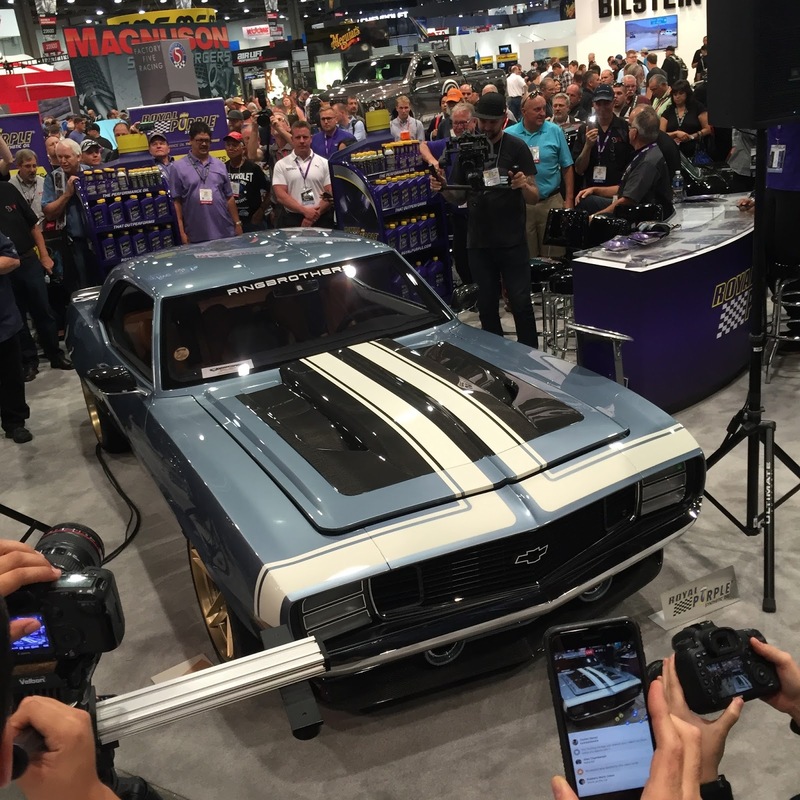 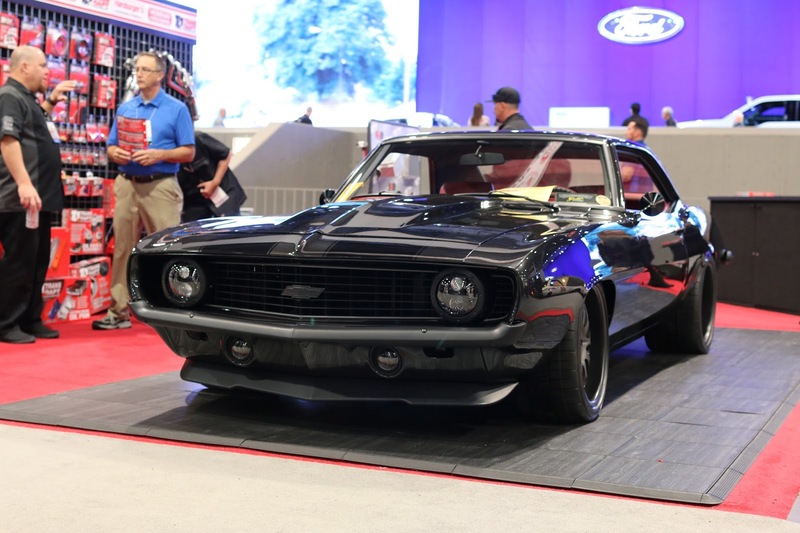 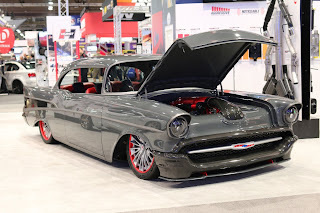 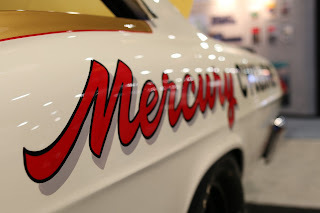 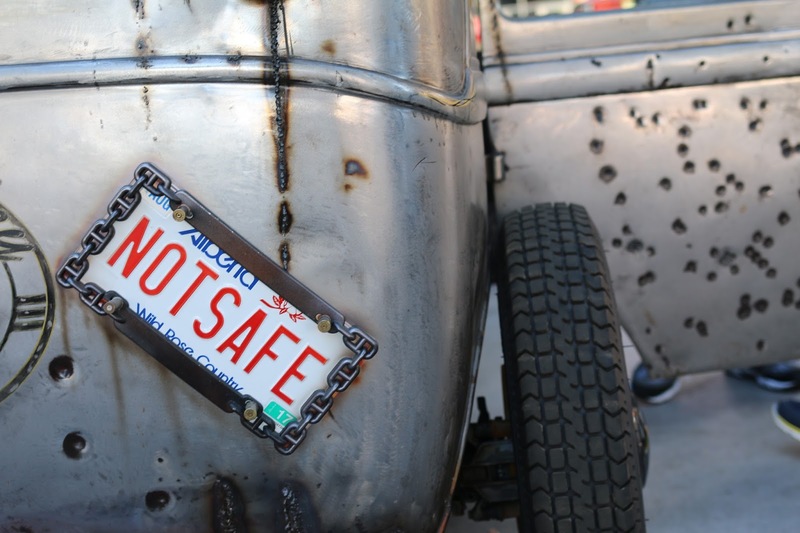 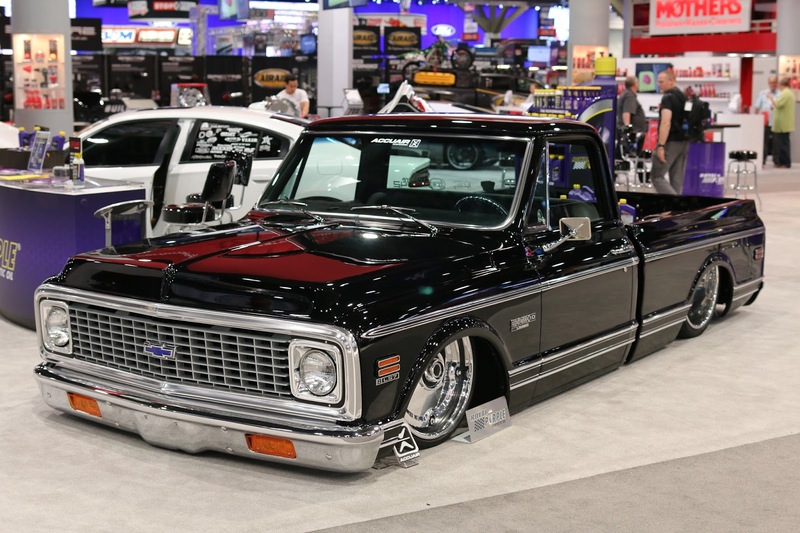 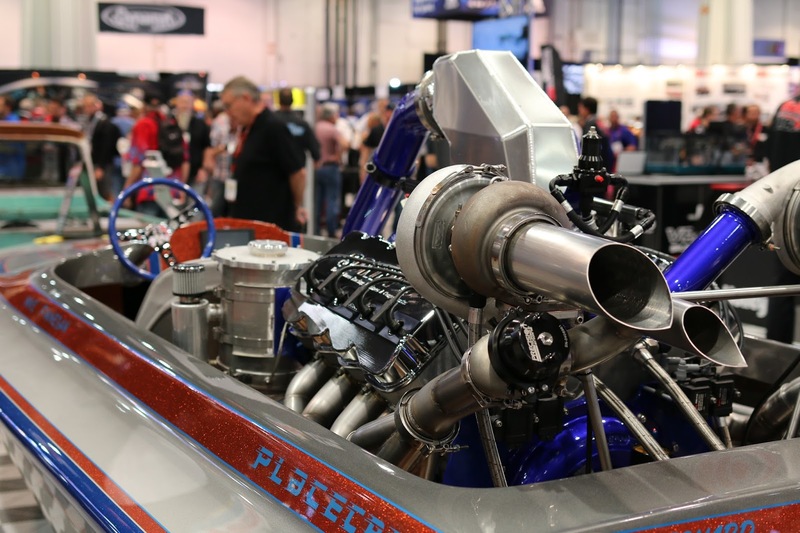 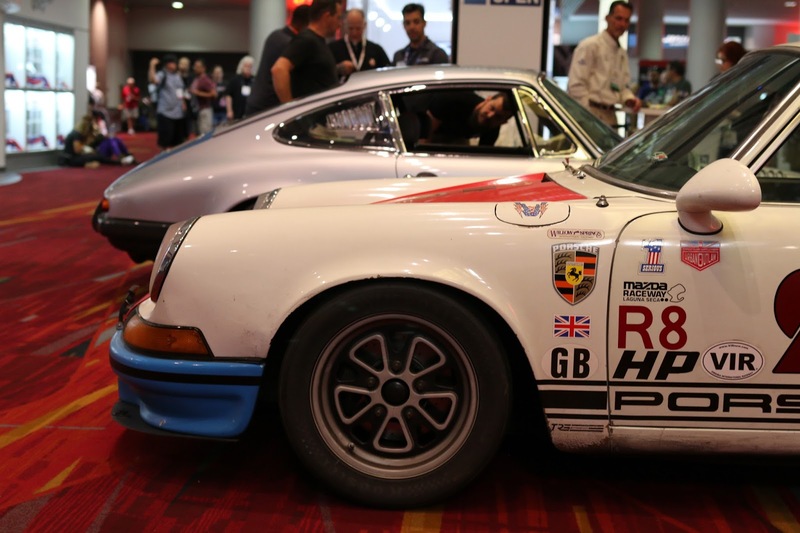 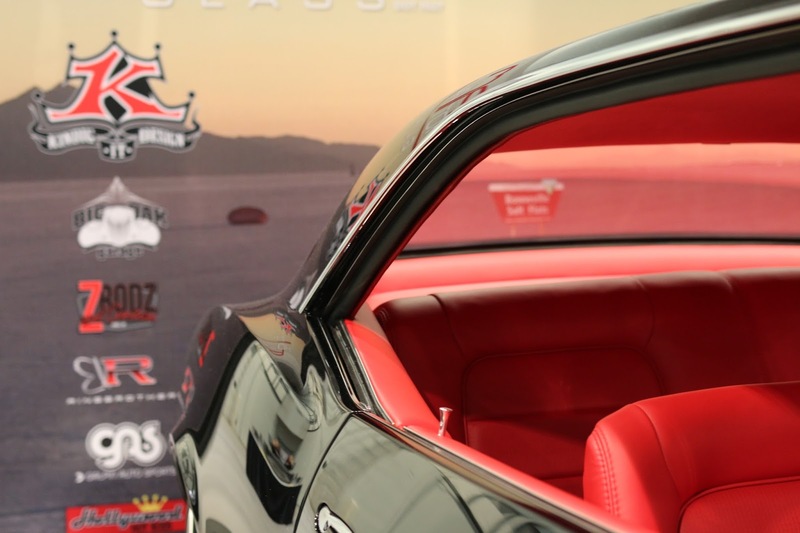 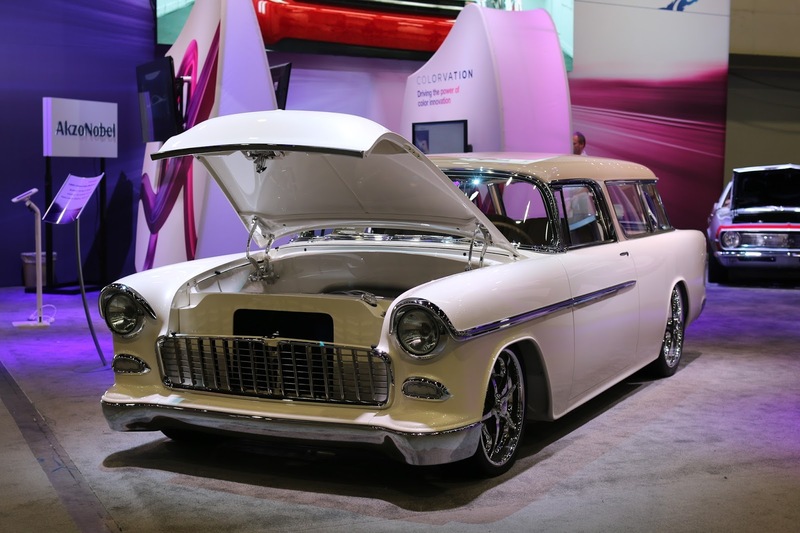 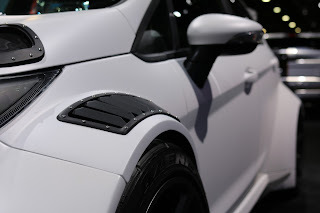 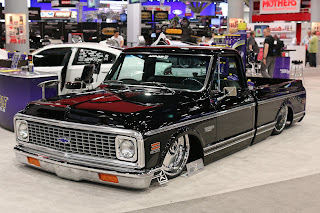 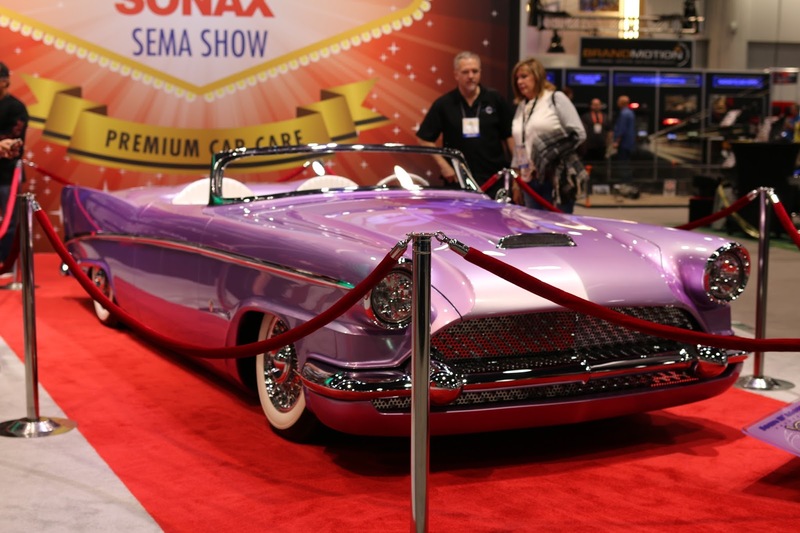 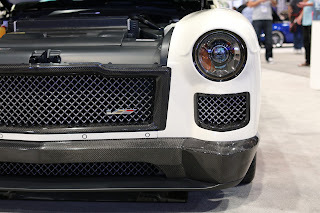 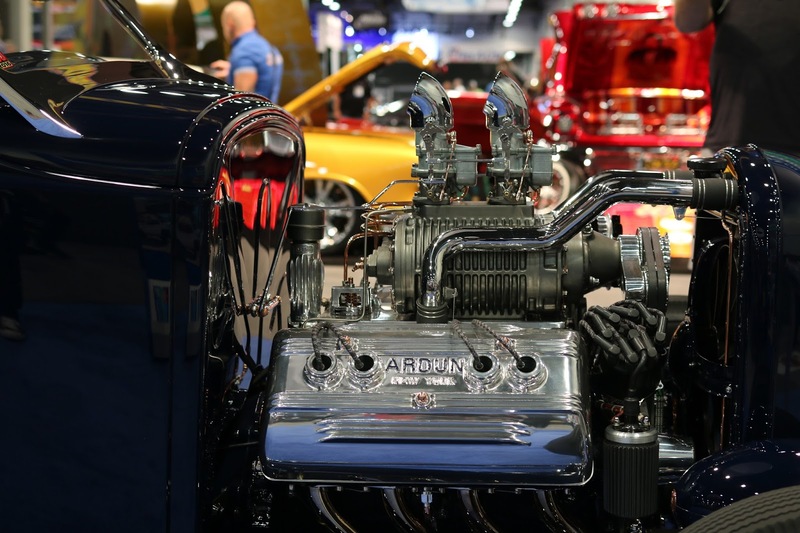 Last week thousands of auto enthusiasts descended on Las Vegas for the annual SEMA Show at the Las Vegas Convention Center. 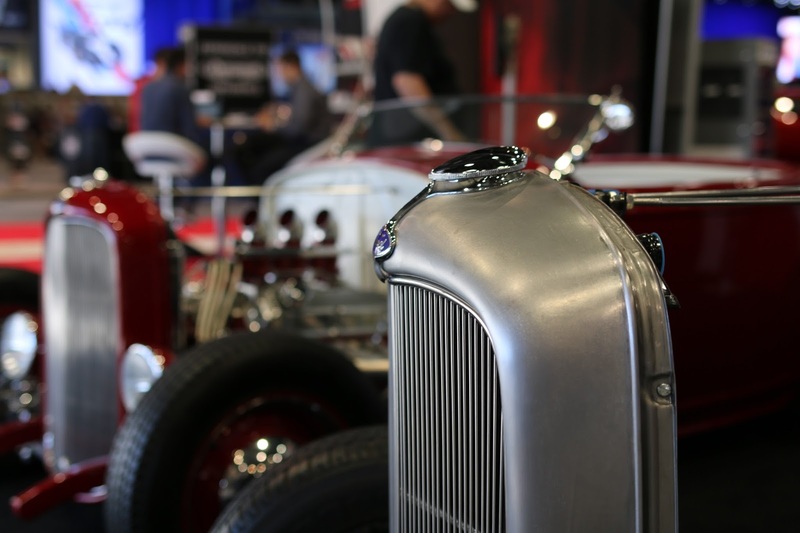 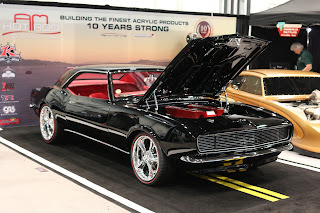 This industry event attracts the best builders and customizers in the automotive aftermarket. 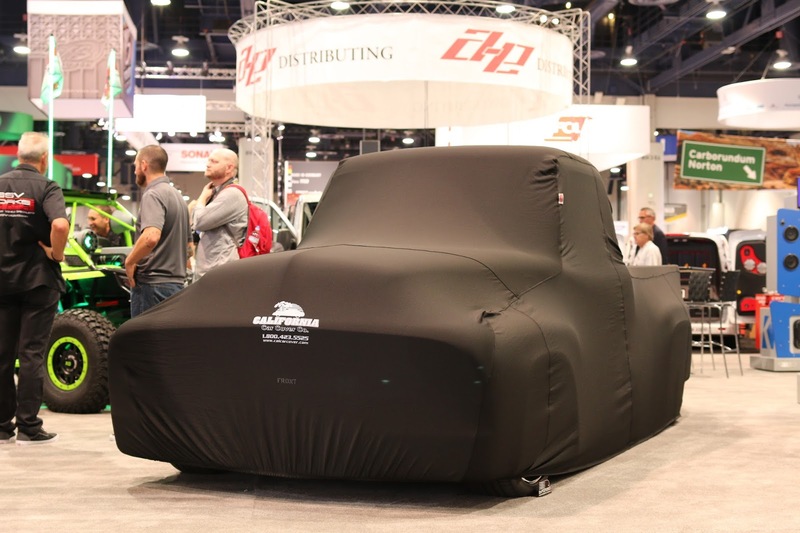 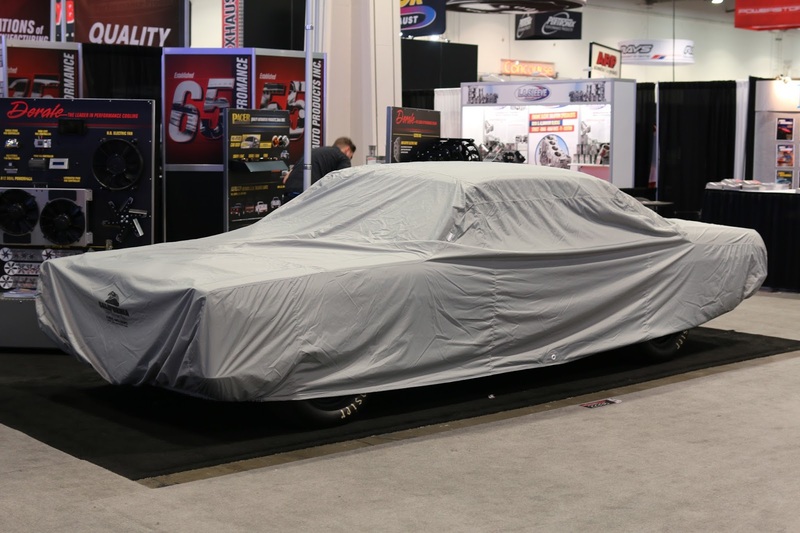 The California Car Cover Crew attends the show each year looking for for new products to bring our customers. 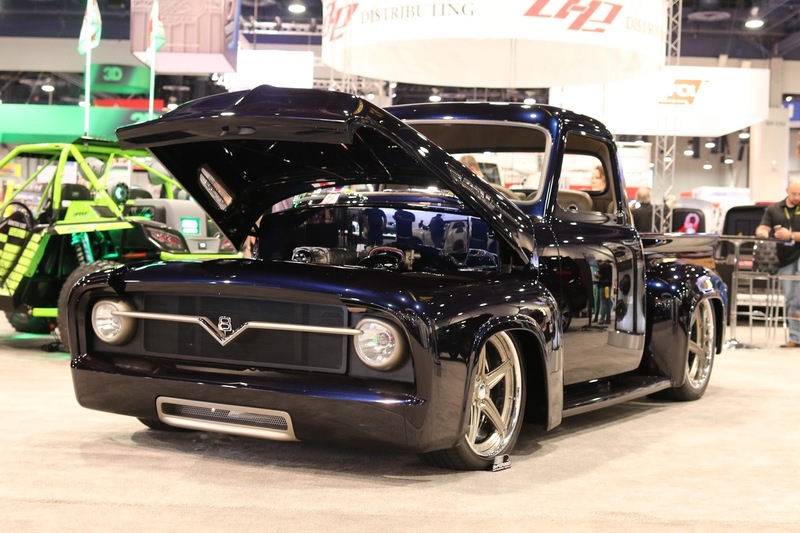 Here are some of the great vehicles we saw at SEMA 2016. 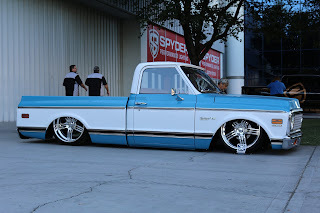 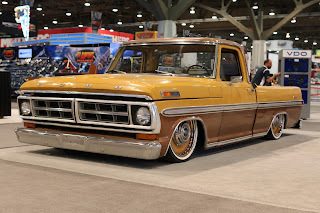 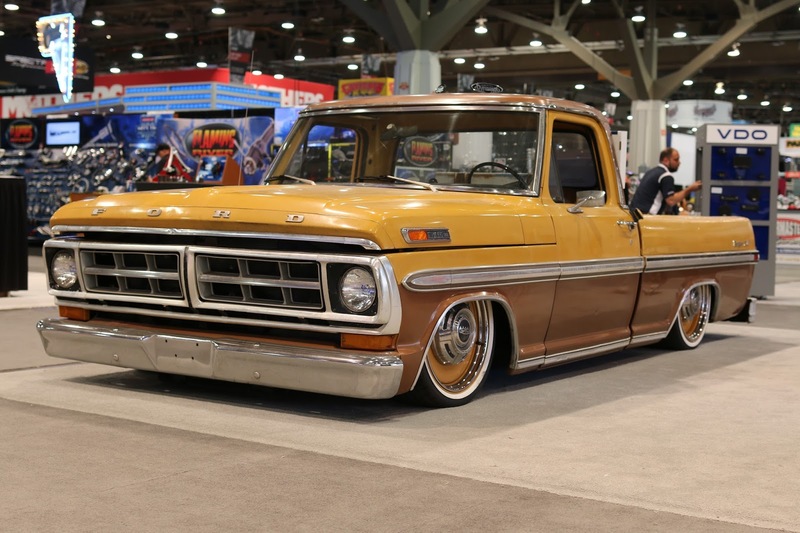 One of the first debuts we saw at the SEMA Show was this beautiful Ford F Series built by our friends at Kindig-It Design. 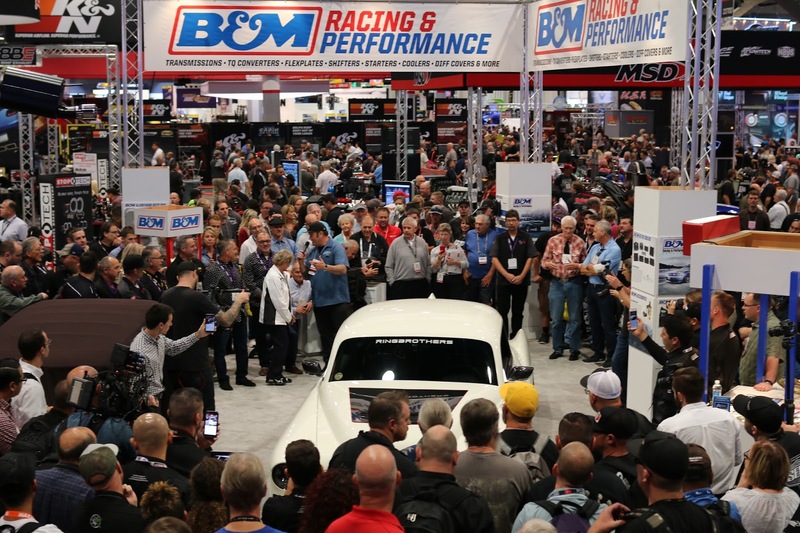 A big crowd gathered for the unveiling of the 50/50 1969 Chevrolet Camaro built by PCH Rods. The Ringbrothers debuts always attract a huge crowd and this year was no different. 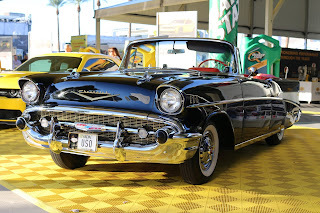 Everyone was interested in seeing their Madame V 1948 Cadillac and G-Code 1969 Chevrolet Camaro. 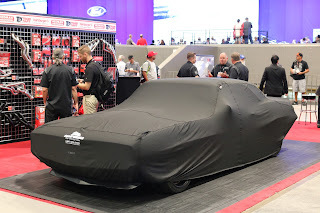 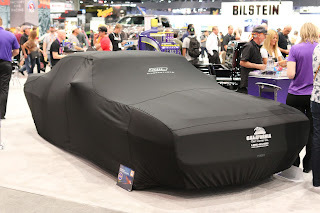 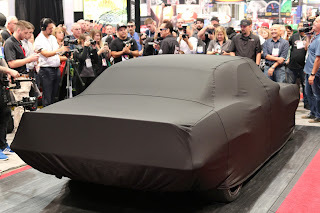 The scene in the Royal Purple booth for the unveiling of the Ringbrothers G-Code Camaro. 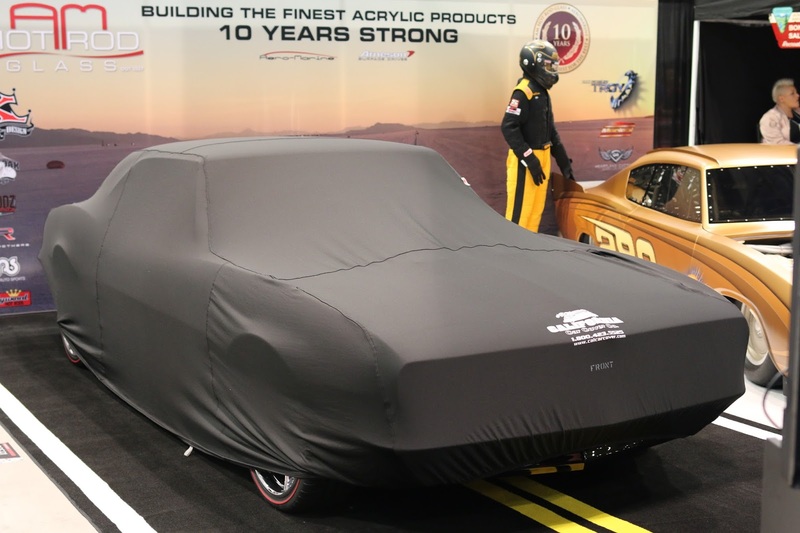 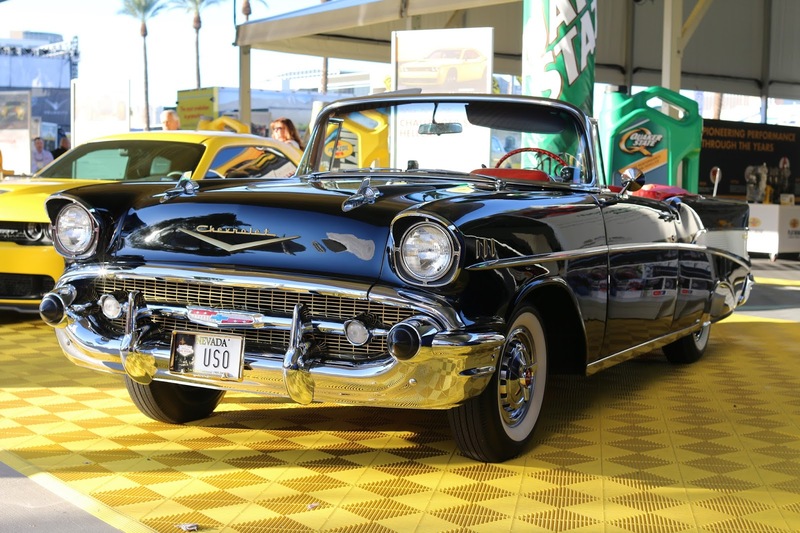 A cool unveiling to be part of was the 1958 Chevy from American Graffiti that was recently restored. 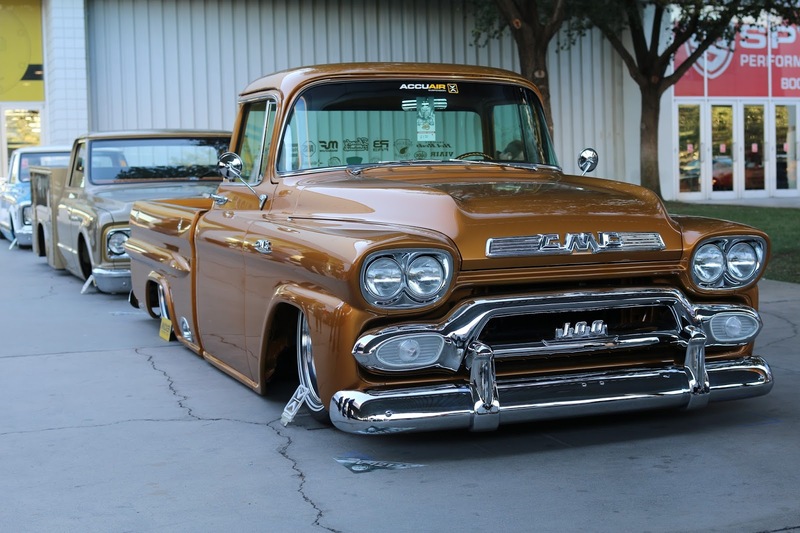 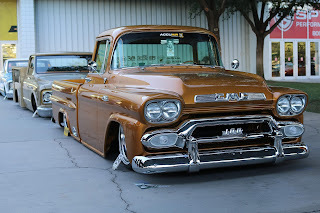 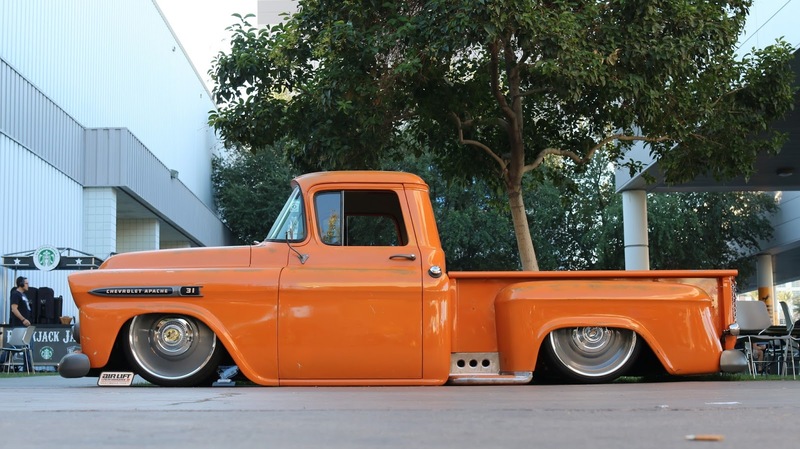 The crew at Ray Evernham Enterprises restored the '58 Chevy to period correct styling from the movie. 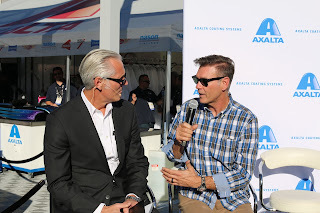 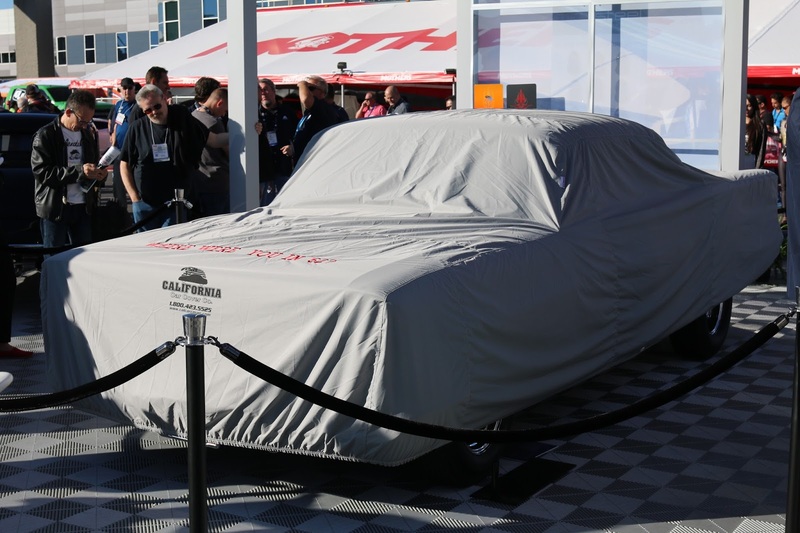 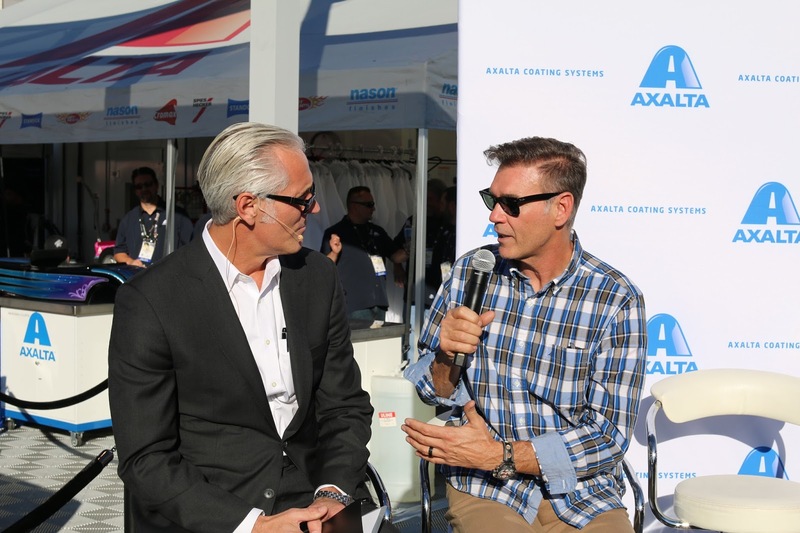 A large unveiling was held at the Axalta finishes booth. 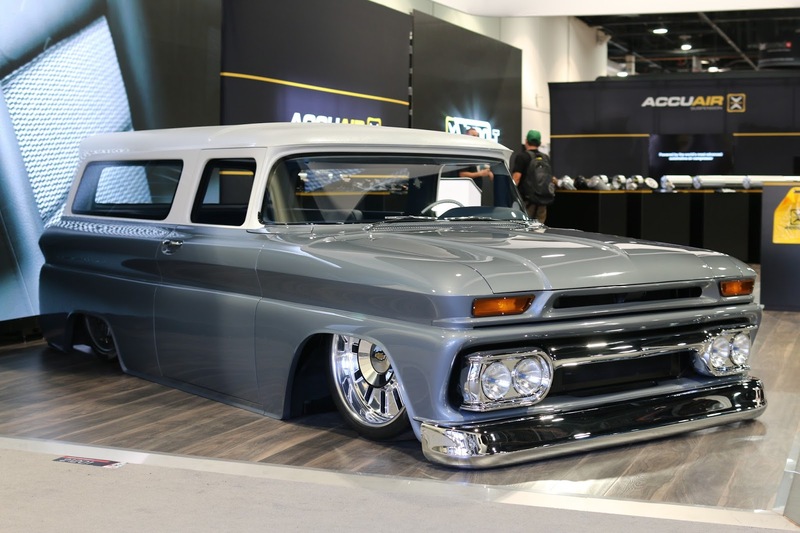 Our friends at Timeless Kustoms showed off their craftsmanship with an impressive custom build. 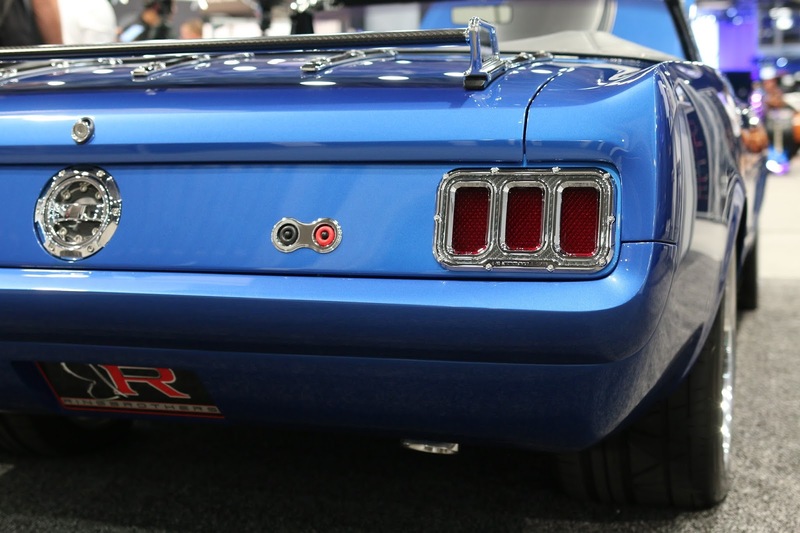 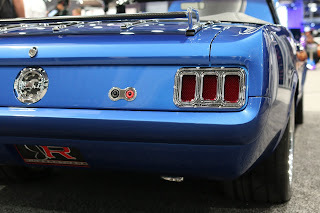 The Fastback Mustang, dubbed the Vicious Stang, featured custom body work and a 1,000 hp engine to boot. 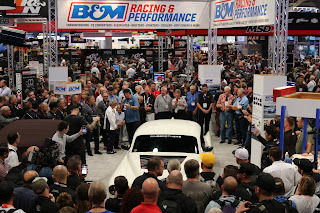 Thank you to all of the great builders to letting us be part of some amazing projects and unveilings. 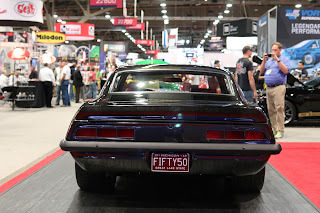 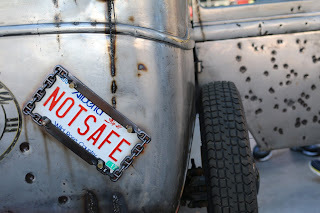 Most of the week was spent with customers, but here are some cool photos and vehicles we saw while in Las Vegas. 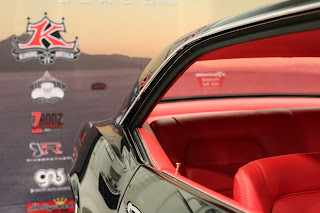 The crew at Sic Chops put together a custom Blazer. 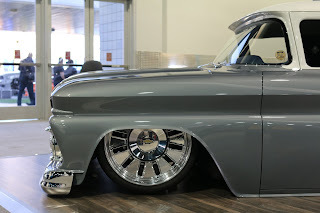 The team started with a 1960's Chevrolet Suburban and shortened the length and chopped the roof to create a custom Blazer that General Motors definitely didn't produce. Our friends at Dave's Garage in Simi Valley, Ca displayed their new Tonka work truck with a flat bed. 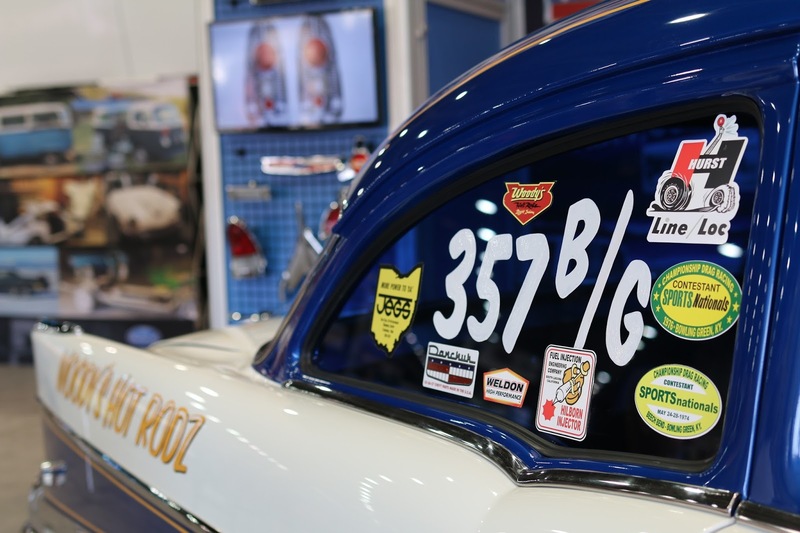 Tucci Hot Rods garnered a lot of attention in the Ford Booth with their wide body Ford Fiesta. 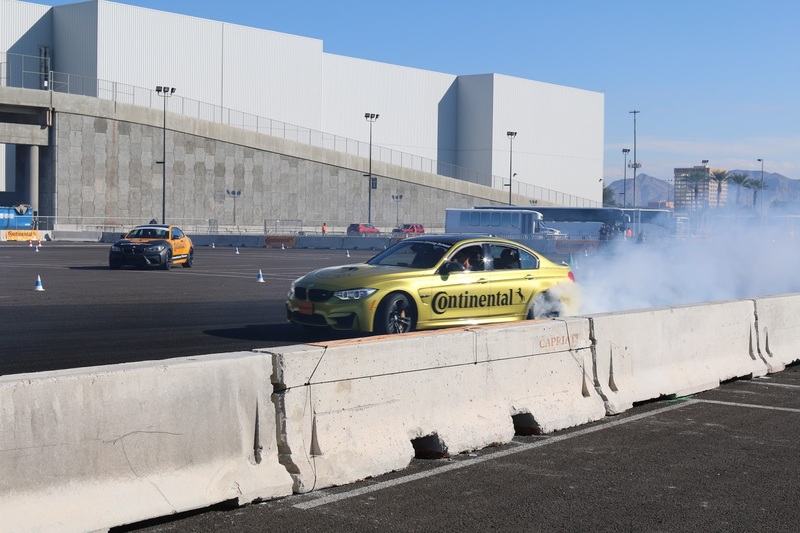 Checking tires at the Continental Tire test track. 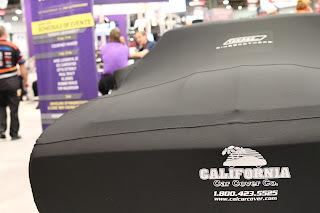 Check back in a few weeks for more local California car show event coverage courtesy of California Car Cover and Covering Classic Cars.